This badge was issued to Ariel Andrew Davenport on 12 Jul 2017. 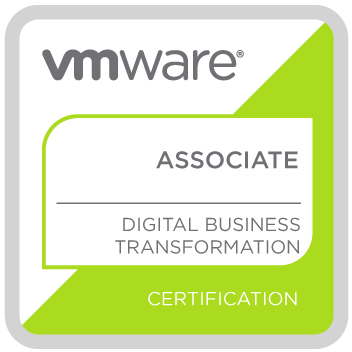 The VCA-DBT certification validates that a badge earner has the understanding of virtualization concepts and how they drive an enterprise’s digital agenda. It proves they are familiar with the VMware products and technologies that support VMware Cloud Foundation and Cross-Cloud Architecture solutions, including vSphere, vSAN, NSX, and the vRealize Suite.